Wind and Wave Festival Pozo Izquierdo 2018, Windsurf World Cup Disciplines: Men Wave, Women Wave. The Wind and Wave Festival surfing competition takes place every July in Gran Canaria’s Pozo Izquierdo on the island’s east coast where the wind conditions are perfect for surfing almost all year round. Since the first competition in 1988, Pozo Izquierdo has become a place of reference for world class level windsurfing, offering surfers excellent conditions for practising windsurf that cannot be found anywhere else on the planet. We are now writing 2018 and a quick count from 1988 to 2018 tells us The Wind and Waves Festival have 30 years anniversary and with the Junior level competition is growing fast with a fantastic high number of young people enrolling. 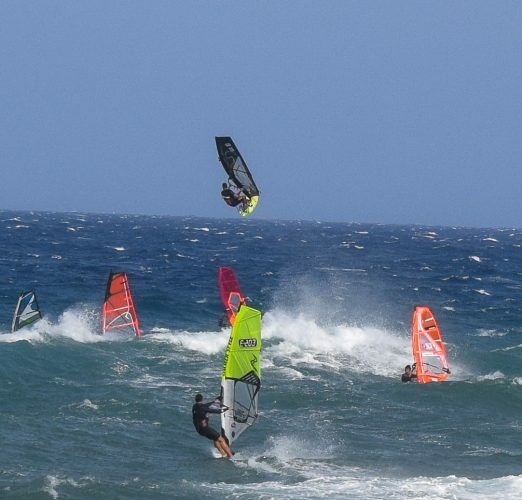 The Wind and Waves Festival in Pozo Izquierdo, will be a high-class windsurfing event for many years to come. The first competition of the year at world class level is in the wave discipline, is where the competitors can really show off their manoeuvres and tricks that they have been preparing during the pre-season. 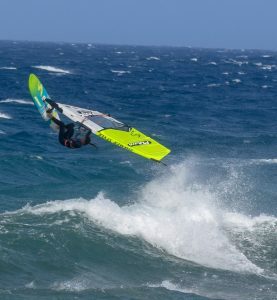 The force of the wind and waves, reaching up to three metres high has made the Gran Canaria Wind and Wave Festival one of the most extreme and radical events within the international windsurfing calendar. The island enjoys an excellent combination of wind and waves along with a good climate all year round making it a natural paradise for all kinds of water sports. Given the great island conditions, it is no surprise that Gran Canaria has its fair share of world-class stars in windsurfing. These include the twin sisters Daida and Iballa Ruano who are Pozo Izquierdo natives and Dutch/Danish Bjorn Dunkerbeck, and German Philip Koster, both raised on the island of Gran Canaria. 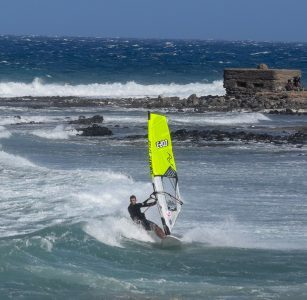 Young new talent here on Gran Canaria windsurfing scene, look out for Liam Dunkerbeck . The Ruano twins have accumulated more than 27 world titles and have been leaders in the professional circuit for over a decade making history in the world of windsurfing. Bjorn Dunkerbeck has been world windsurf champion 42 times in the PWA international circuit making him one of the world’s elite surfers. Currently, Bjorn runs his own surf school in the south of Gran Canaria called BD Surf and Bodyboard School. The German Philip Koster was placed first in the competition in the year 2015 and 2017 festival. Philip was raised in Playa de Vargas, where he from a young age he practised windsurfing, that has allowed him to gain the skills he needed, to reach the top position in the competition. During the celebration of the Gran Canaria wind and wave festival, different types of events are offered to the public, some based around the sport such as informative workshops about the sport and equipment and samples of clothing used for surfing. There are concerts and entertainment in the evening next to the beach for visitors to enjoy. Many volunteers take great care ensuring every detail of the festival goes to plan and most of all providing safety to the spectators as well as the competitors. 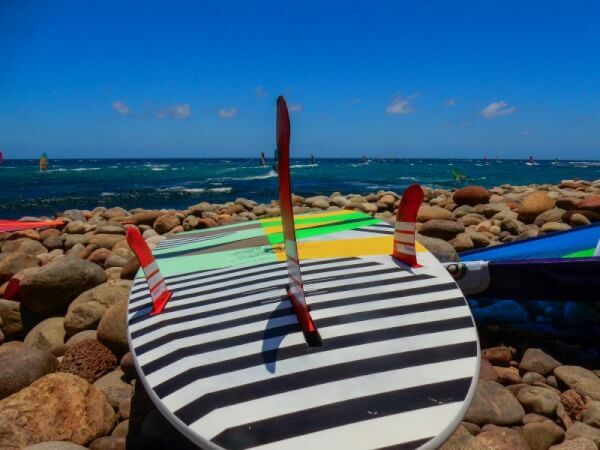 Following the continued success of this competition, the town hall of Santa Lucía de Tirajana has since built the International Windsurf Centre on the beach at Pozo Izquierdo. This is a sports resort with swimming pool, restaurant and accommodation for those athletes who wish to stay next to the beach. The Ruano sisters say that in all their years as professional windsurfers they have travelled the world and windsurfed in some of the most radical places in the world but have never found any place that feels as comfortable when they are surfing as Gran Canaria.